← Decorating With An Old Window: Take Two! 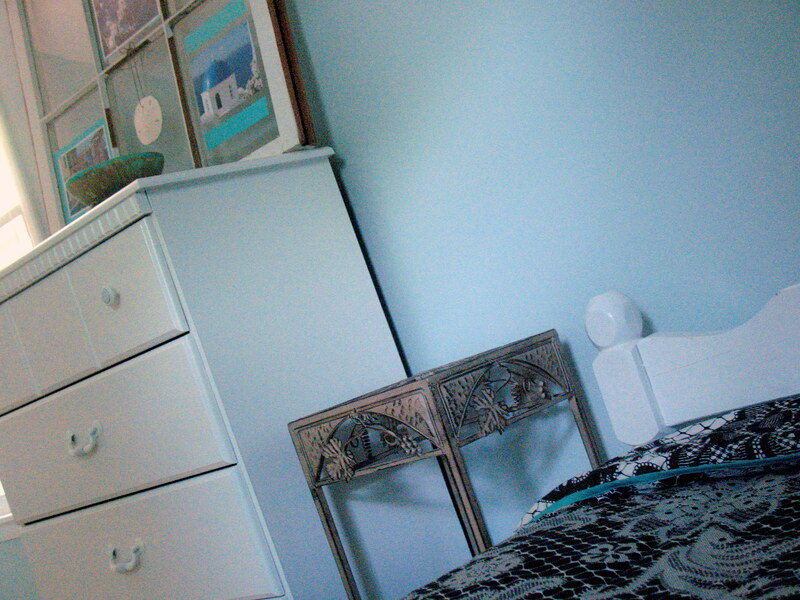 The long awaited…but much anticipated…(by me) guest bedroom reveal. I think the white furniture makes SUCH a difference. I am quickly becoming a fan of white. When choosing the paint color I came across a similar color named “Sigh” and I think they should rename the color I chose that because thats what it makes me do…sigh…with happiness. I really do think its so pretty and relaxing while being clean and bright. I primed the molding and window/door casing with the oil based primer I talked about here and then painted it in glossy ultra white (MAN I love this stuff). Primed and painted the ceiling. Primed and painted the walls. And we splurged and replaced all the window fixtures and door knobs with oil rubbed bronze ones, to match the ones we replaced in the hallway upstairs. I LOVE IT NOW! I could spend all day in this room. 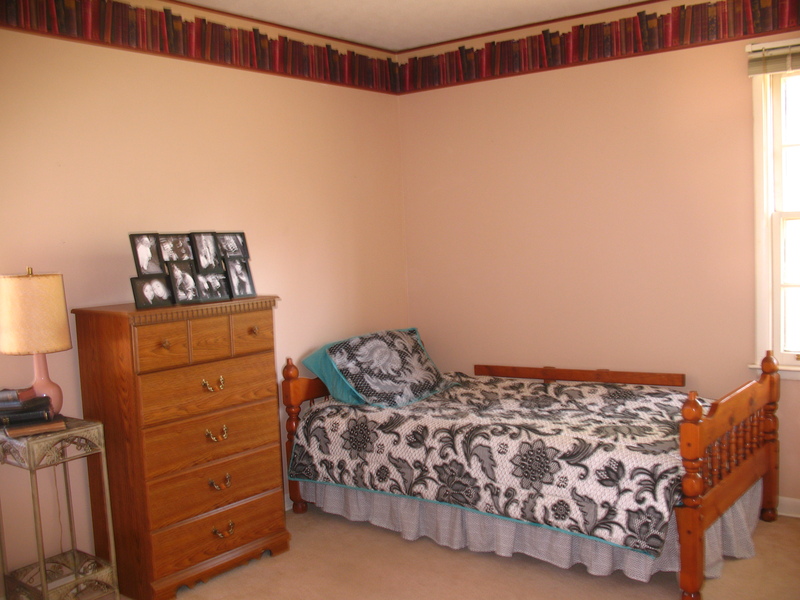 I think I will try to recreate it in our master bedroom and bath next. The painted furniture and the decorated window. 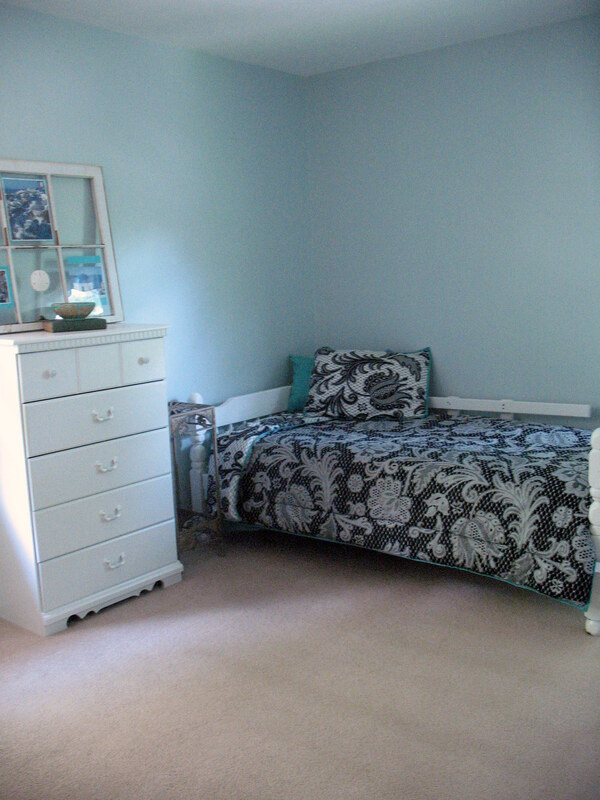 It has a airy beachy feel to me. Which IS intentional due to the fact that we are attempting to lure our friends to visit. When offered your own private ‘resort’ room, how could you say no?? Sorry for the graininess of the pictures. We had a slue of cloudy days here and by the time I got to the room to take pics when the sun did finally come out…it had hid behind some clouds again! Oh well. This project took too long and if criticized too much, I may cry. I LOVE it!! Soooo serene & beautiful! I love soft blue + white!! It looks great! 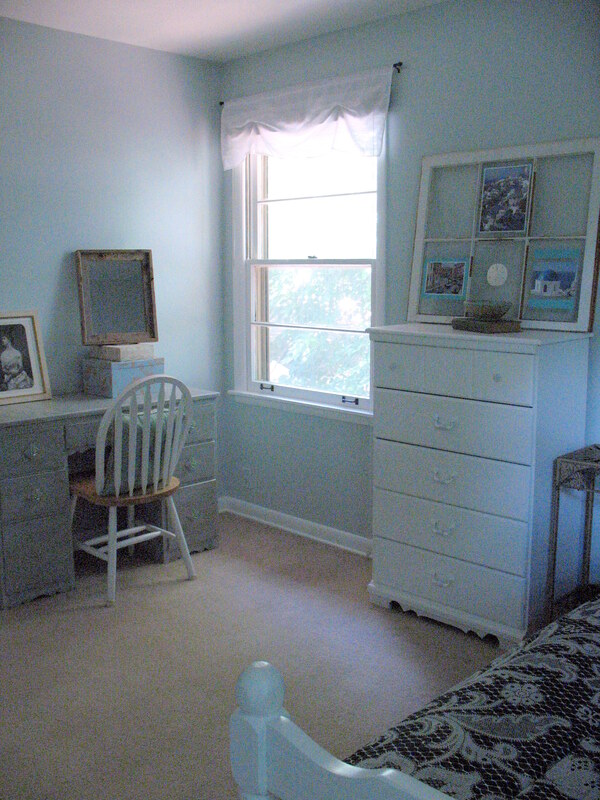 Its actually in a family of grays, so when it turned out so blue on the walls, I was surprised. But I love it. It feels serene to me too. I am pretty sure you do!! 🙂 Tell me when sweet friend!